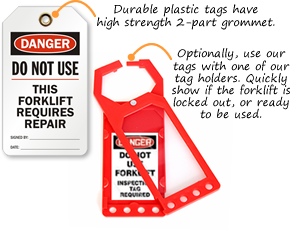 Our Forklift Lockout Tags clearly and concisely indicate forklifts that are defective or in need of repair through the use of eye-catching signal words and vividly bold text. • Pros love our Forklift Tag Holders. It’s easy to change forklift inspection status! When a valid inspection tag is inserted into the holder’s pocket, the forklift is ready for use. If not, the holder has a default “do not use” message. • We offer the strongest grommet on the market. 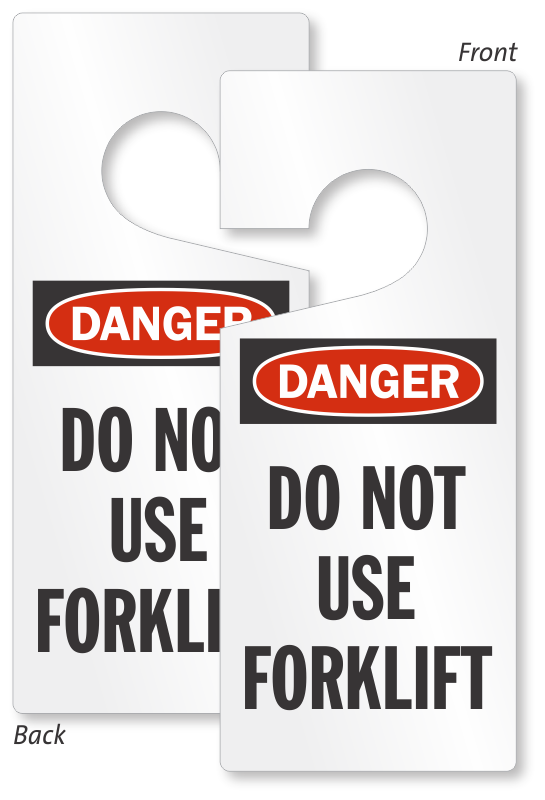 Make sure that your tags are not torn off – thereby jeopardizing your forklift lockout program. • Our forklift lockout covers provide the ultimate in lockout control. Covers block anyone from steering or operating the forklift. Is the inspection current? Give operatiors a checklist to make sure that all systems “are a go”.